Is your advisor bound by fiduciary duty and acting in your best interest? Imagine a hypothetical situation, where you are being guided through an important decision. Maybe you’re learning to rock climb, or paying to have a contractor build your dream home. Which statement would you feel more confident hearing from the person helping you? Given these options, most people would choose to have someone act in their best interest, as opposed to simply doing what is suitable. When deciding on a financial advisor, this isn’t a hypothetical situation. It is a high-stakes choice that every person hiring a financial advisor makes, though most people don’t realize they are doing so. This is because most advisors do not explicitly address the topic. Sorry to be the bearer of bad news here, but no. Only advisors who are legally bound by a fiduciary duty are required to place the interests of their clients above their own. Many who refer to themselves as “financial advisors” are actually bound by the less rigorous suitability standard. The previous paragraph may be raising a host of concerns, so let’s break this down. We’ll start by answering some of the questions you should get the answers to when hiring a financial advisor. Acting in the best interest of the client, which includes the advice provided. A duty of undivided loyalty and utmost faith to the client. Not engaging in activities that present conflicts of interest, and fully disclosing those that may do so. Not making misleading statements, and fully and fairly disclosing all material facts to clients and prospective clients. Not using client assets for personal benefit or the benefit of other clients without consent. What’s the Difference Between the Fiduciary and Suitability Standards? Both standards are designed to protect investors; however, the fiduciary duty offers an increased burden on advisors to protect their clients. Suitability standards do require advisors to provide suitable advice that considers the client’s personal details. These could include their age, finances, investment experience, objectives, and time horizon, as well as their risk tolerance and fees. It does not, however, require them to put the client’s interests ahead of their own, or the financial firm with which they are associated. For example, the advisor may avoid recommending that a client take a course of action that is in their best interest, if another option (that provides a higher commission to the advisor) is considered suitable enough. Unfortunately, this happens fairly often, without the client ever being aware. What Types of Advisors are Fiduciaries? This question not only confuses the general public, but also those who work in the industry. In financial services, there are two primary governing bodies: the Securities and Exchange Commission (SEC) and the Financial Industry Regulatory Authority (FINRA). Financial advisors may be registered with either or both. 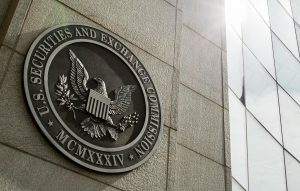 Those who are registered with the SEC must act as fiduciaries, whereas those only registered with FINRA are just bound by the suitability standard. The SEC is an independent government agency that emerged as the result of the depression-era economic climate. The SEC regulates Registered Investment Advisors (RIAs). RIAs can be individuals, partnerships, or corporations that manage or advise on the assets of investors. Individuals employed by an RIA are referred to as Investment Advisor Representatives (IARs). When RIAs are solely registered with the SEC (and not with FINRA), they invest their client’s money but do not receive any commissions. Instead, their compensation is the result of fees assessed directly to the client. Their sole incentive, then, is to do right by their clients. FINRA is a self-regulatory organization (SRO). This means that it is a private corporation — not a government agency — established to provide oversight of the financial services industry. Those advisors registered with FINRA are only required to act in accordance with suitability standards, and are referred to as Registered Representatives (RR). What Types of Advisors are RIAs, versus RRs? RIAs could be referred to as fee-only financial advisors or planners if they are not registered at all with FINRA. Their compensation is based on the quality of service provided to their clients. As addressed earlier, this means they only derive compensation from their clients, not from third parties as the result of product sales. Fee-only advisors receive compensation through retainers, flat or hourly fees, or they may receive a percentage of the assets under management. Those advisors who act as an intermediary between firms that purchase securities and sell them to customers (broker-dealers) are called RRs, better known as brokers. As a result of selling securities to clients on behalf of their broker-dealer, they receive a commission. Some advisors are referred to as “fee-based,” which means they receive compensation from both their broker-dealer (commission) and their clients. This is an important point to make. Unfortunately, some advisors will call themselves “fiduciaries,” since they are registered with the SEC, but fail to mention that they are also registered with FINRA to sell products. If you want to ensure that your advisor is required by law to act in your best interest, you should seek out a fee-only advisor. Unfortunately, this is not always an easy process. Fiduciary advisors relish the opportunity to let people know they are bound to act in the client’s interest. This degree of transparency is not always the standard for Registered Representatives (RRs), who are only bound by suitability standards. Are you a fiduciary advisor, i.e. Registered Investment Advisor (RIA) or Investment Advisor Representative (IAR)? Are you a registered representative (RR)? How are you compensated? Do you receive compensation from any other sources besides the client? Are you legally bound by a fiduciary duty to your clients? For a more comprehensive list of questions, check out this blog on how to interview a financial advisor. All of this may be a little overwhelming, but don’t fret. The best time to determine whether an advisor is an RIA is before you meet with them. That’s where Zoe Financial can help. We are committed to connecting clients with our curated network of fee-only fiduciary advisor partners, all of whom have been carefully selected as a result of their experience and standards of client care. Answer questions: Give us a little more information, to help us understand what your needs are. See Results: Our algorithm hand-picks advisors best suited to your needs. Schedule a Call: Review the advisor profile, decide if they’re a good fit, and start chatting with them today!